Hello friends and blog readers! So excited for this new little "segment" on A Tiny Traveler Blog. Not sure if it'll be every week, every other week, every month. Who knows! 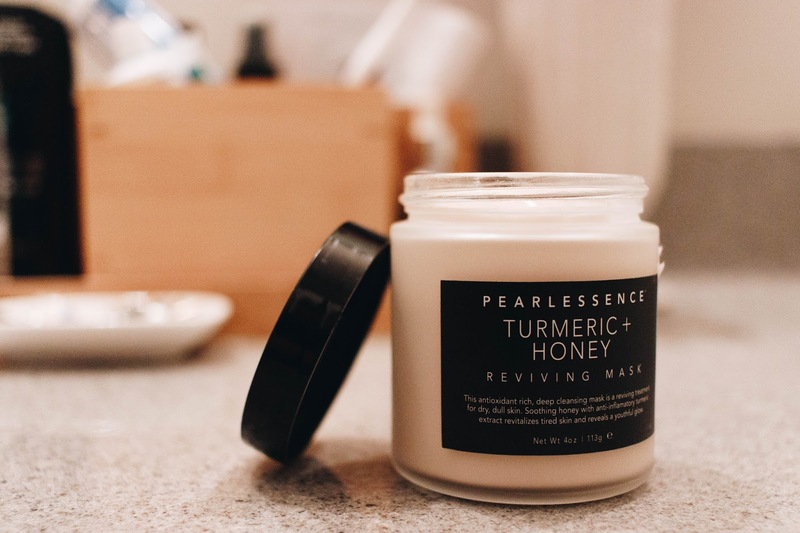 But at the moment, I have a few new products, self-care practices, and thoughts about the whole concept of self-care that I want to try out and share with you. 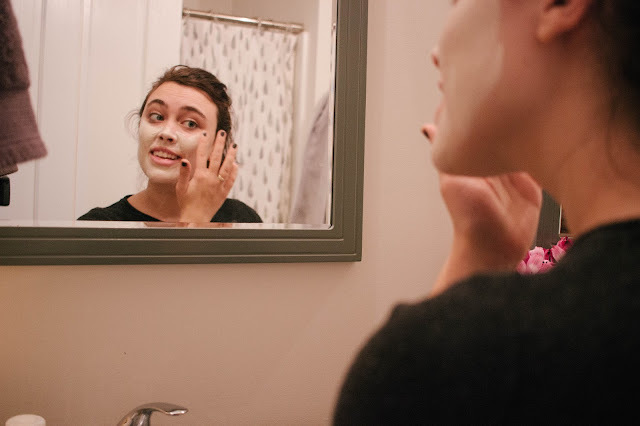 Today, I am sharing a new face mask that I got at Home Goods (surprisingly) and I loooove it. 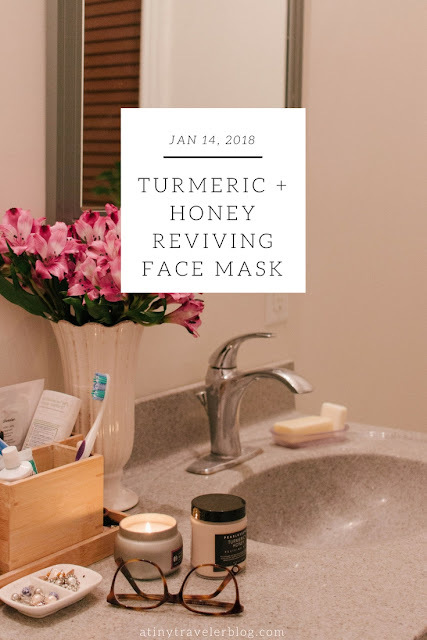 It's called Turmeric + Honey Reviving Face Mask from Pearlessence. From what I can find online, its T.J. Maxx's beauty brand. (Correct me if I'm wrong!) I found some other items from them on Amazon too and they look awesome. The application was really easy and after 15-20 minutes I washed my face and felt so fresh. 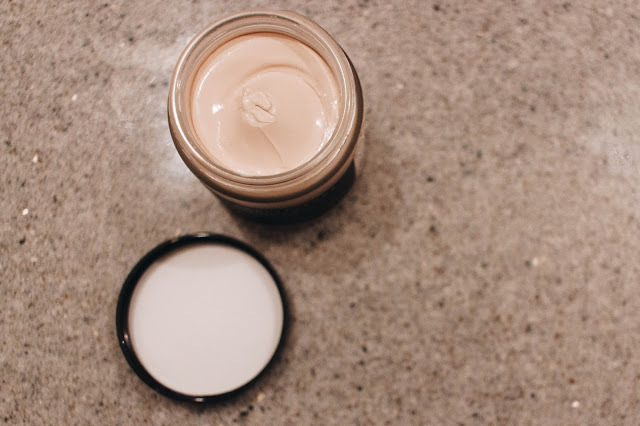 My skin felt hydrated and refreshed and I definitely will be using it again. I love when I can find things at stores that I normally wouldn't expect to find (like a face mask in Home Goods). 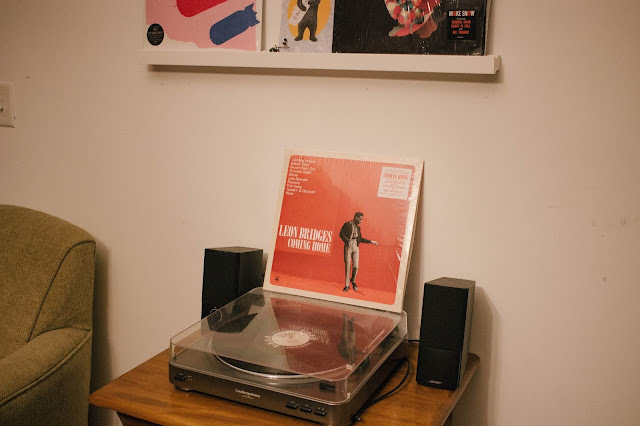 After the face mask, I spent some time listening to a new record, Leon Bridges, and then watching a new show on Netflix. It felt good to just have a little time to myself and relax. Something that I have realized about self care lately is that a lot of girls on social media and in the blogging world seem to idolize it. They're shout "treat yo' self" from the rooftops and think that buying a new dress or taking another day all to themselves is all there is to self care. Yes, these things are nice and can brighten your day, but its not all there is to the idea of self care. Self care is so important! But it goes so much deeper than a bubble bath or face mask. Its all about taking time to listen to your emotional, physical, even spiritual needs. Do you need a nap? Should you put screens away and go for a walk? Are you getting enough water or vitamins in your diet? When was the last time you read a book to better your life or prayed or spent time with your family? Self care is so much more than material. 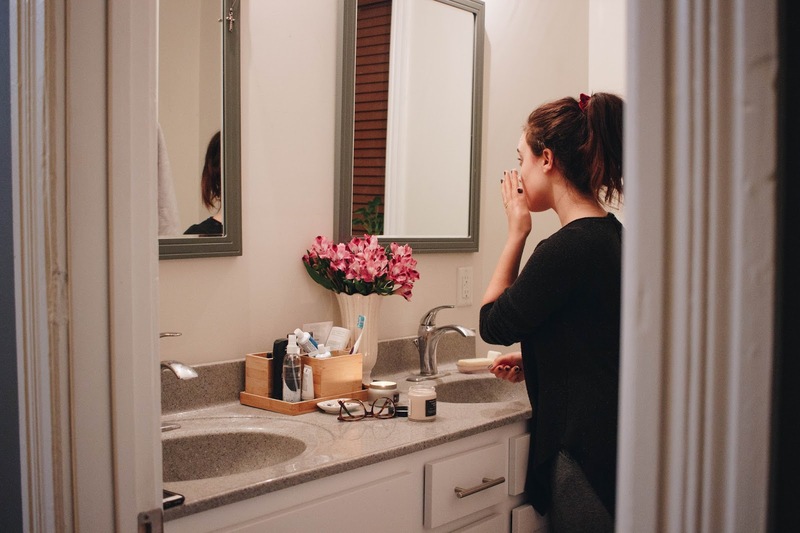 I just wanted to take some time and encourage you to not only enjoy a face mask while listening to soothing music in the glow of candles, or veg out on the couch to your favorite movie with a glass of something fancy, but really listen to your body. Care for it in every way you can! You are so right, it goes so much deeper than just physical breaks/physical care. OMG YES! I just did a post about 7 ways to de-stress and I wanted to desperately name it "7 ways to instantly de-stress without a bath bomb or sheet mask." LOL it seems as though those 2 are the only ways people can take care of their self care! It's so much more than that! Self care is also about taking care of your soul and your mental health, not just physical remedies. Anyway, I liked your post and that face mask is life. Yes, so true! Haha and I agree, this face mask is amazing. Omg this looks good enough to eat! Totally love self-care time. That is so true that self-care is deeper than a face mask! I've never really thought about it that way, but you are absolutely right! I never really thought about self-care until I became a mom, and then I began to crave it! My baby boy is now five months old, and I've started getting out of the house 2-3 times a week to spend an hour or two at our local Starbucks. I sit, drink coffee, write on my blog, and listen to everybody chatter around me. It is heavenly. Taking that bit of time helps me be a better mom and wife the rest of the week! Yes, taking some time to care for yourself is so important and when you have a busy schedule (like being a new mom!) it can be hard. So glad you're able to take a few times a week for you! Self care is definitely way more than just taking a bath and putting on a face mask, though that seems to be what I end up doing the most to get my phone-away, no-distraction me-time haha. That mask sounds really nice too - I'll have to look for it next time I'm at TJ Maxx! I completely agree! I think its just so easy to take a bath or do a face mask or something like that because its rewarding and easy but self care requires so much more! Wow, so true! Self-care impacts not just you, but other people in your life as well. It's nice to soak in a bubble bath every once in a while, but that doesn't necessarily do me much good if I get back to snapping at my husband for something afterward. Taking time to really reflect and recharge emotionally, mentally and spiritually really makes a difference in how you interact with others. Great post!